Have you ever driven a real digger? In the gravel quarry you will learn how to manoeuvre a digger and also how to use its bucket (the front/digging element). Who can dig out the gravel quicker? After the introduction you can try using the digger for yourself. So far, so good? Forwards and backwards, you will try to manoeuvre the huge machine around the pit and a bit more. 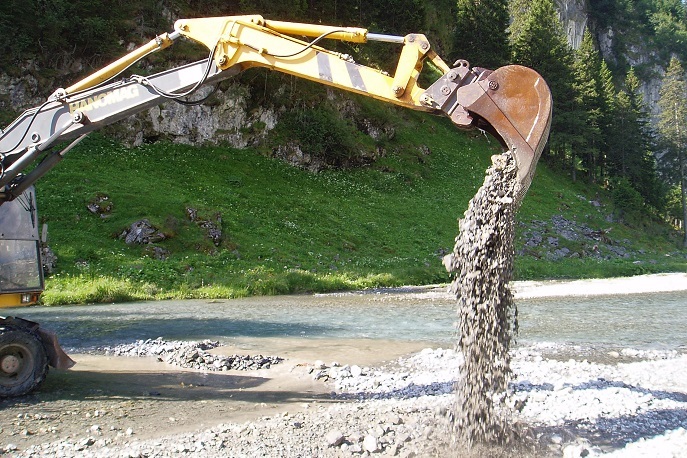 Using the pneumatic excavator you will also dig the gravel out of the river. You may also be able to end the event with a ride on the historic old crawler dumper − over and across the gravel heap and through the water and the swamp. 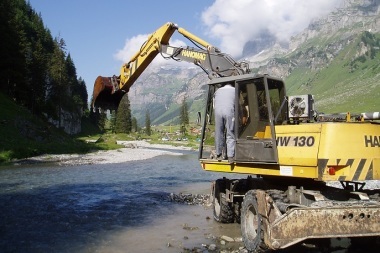 You will always be accompanied by a specialist, so don't worry about losing control of this huge machine. The vehicles are all very modern (with the exception of the dumper) and are equipped with particle filters and do not cause more environmental pollution than your own car or oil heating. 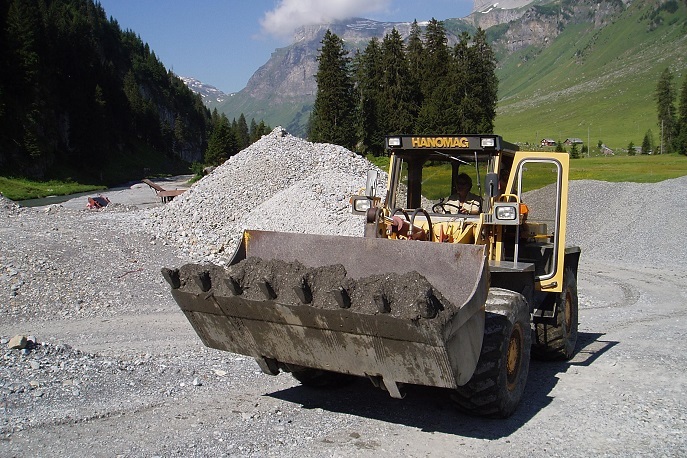 When not being used for this activity, these building machines are used in everyday work which may also mean that not all requested dates are always possible − please enquire regarding dates! One or two building machines (depending on group size), welcome coffee or drink, supervision by specialists. Larger groups can also take part in this activity which is then best combined with further activities (to shorten the waiting time) e.g. Archery, Team games, Climbing. Why not treat your loved one to this unforgettable and popular event. This can be combined with a coffee, snack, lunch or dinner in an inn with a magnificent view or an outdoor barbecue. All this digging is sure to make you hungry!